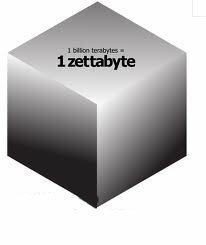 A petabyte is a measurement unit that describes a piece of information that is equal to 1,000 terabytes or one quadrillion bytes of data. 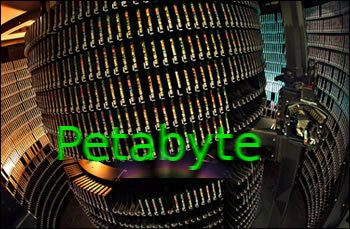 A single petabyte is equal to 1,000,000,000,000,000 bytes . When a petabyte describes computer memory, it is also used in reference to a corresponding power of 1024. The approved scientific symbol for the petabyte is PB. 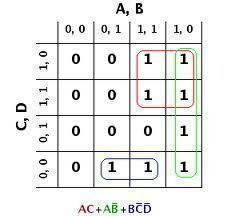 Pebibyte also describes a power of 1024 and is described through the symbol, PiB. The amount of information transmitted over large networks in industry often exceeds a number of petabytes per day. AT&T currently processes close to 20 petabytes of data per day and Google processes more than 25 petabytes of information per day. Laboratory experiments can now collect more than 15 petabytes of information per year. Data storage for archival facilities has significantly increased as they can now store information that exceeds several petabytes. The film industry now relies on significant data storage capabilities when producing film that uses quite a bit of computer effects. The Avatar movie has been on record for requiring more than a petabyte of information to save the entire movie. 88 queries in 0.445 seconds.